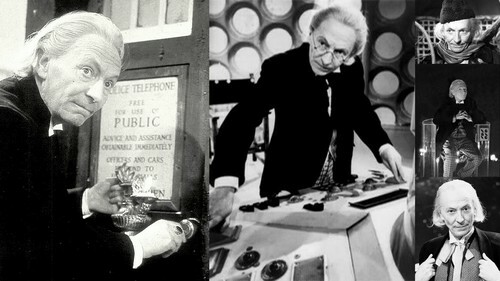 William Hartnell--The First Doctor. First Doctor Collage. HD Wallpaper and background images in the Doctor Who club tagged: doctor who the doctor. This Doctor Who wallpaper might contain brasserie, saman perniagaan, sut perniagaan, tanda, poster, teks, papan hitam, and chalkboard.